Texas authorities issued a statewide Amber Alert on Wednesday for a month-old baby girl who was missing after her mother was found dead from multiple stab wounds, Dallas News reported. 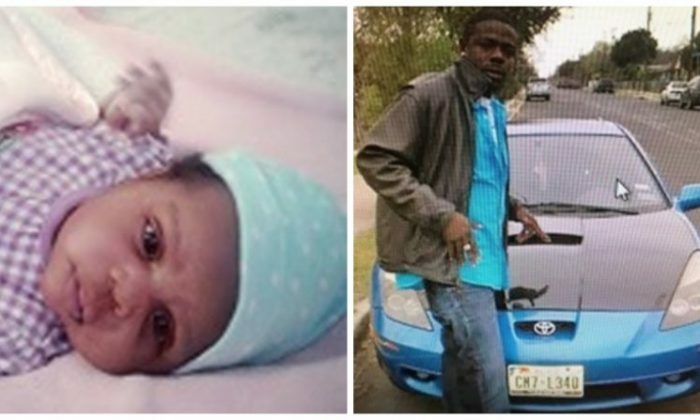 Houston police first thought that 6-week-old Shanally Flores was with her father Thomas Bernardez. But officers later located Bernardez in San Antonio while he was driving his blue Toyota Celica. The missing girl’s mom was found stabbed to death at an apartment in Houston earlier on Tuesday, Dec. 19. Police did not release the mother’s name. She was stabbed several times. Bernardez told investigators that he is not involved with the death of the missing girl’s mom. He was flagged as a person of interest. Police initially reported that Shanally Flores was 11 months old but have since updated her age to 6 weeks. She is 30 inches long and weighs 20 pounds. The girl is considered to be in grave danger, police believe. Anyone with information on the girl’s whereabouts is encouraged to call Houston police at 713-308-3600.